We've been hearing rumors of a new iPhone breed for years, and now it's finally here. 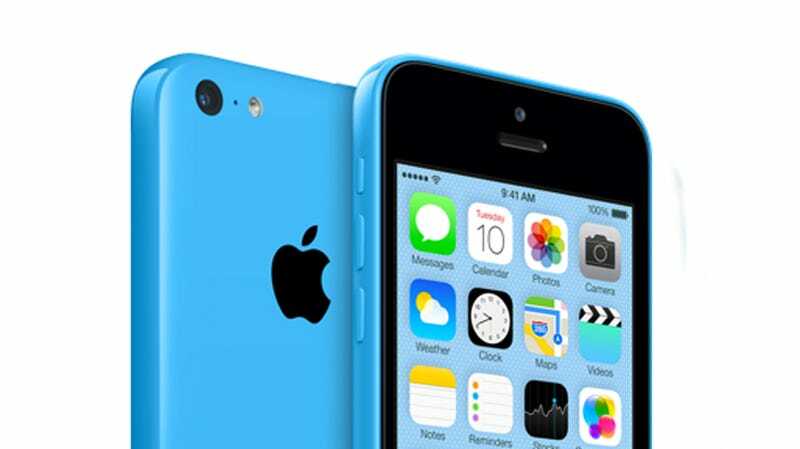 Apple's new plastic-backed, color-coated iPhone 5C is a $100 option for a whole new generation of iPhone users. Here's everything you need to know. The leakers were spot on this time around; the iPhone 5C looks just like we expected. It's got a subtly curved hard-coated polycarbonate plastic back that comes in blue, green, white, yellow, and red pink. Apparently it's pink. The back is made from one single part. No joints or lines. Each case is also steel-reinforced to help amplify the antenna. And, iOS 7 will automatically match the color of your iPhone 5c out of the box. Neat! As Jony Ive puts it: “iPhone 5C is beautifully, unapologetically plastic.” It's definitely not ashamed of its plastic. Unfortunately, the 5Cs come with black fronts instead of the white ones we were expecting. And, well, the white ones would have looked better. The iPhone 5C also comes with a series of freakin' hideous silicon rubber cases, each perforated with cheese-grater holes to let the phone's color shine through. It's bizarre. The cases come in six colors, at $30 each, but bleh. As expected, the iPhone 5C isn't full of new guts, but it's not the 4s either; it's basically the iPhone 5 in plastic. Its brain is the iPhone 5's A6 processor and it's got an 8MP camera like the 5 as well. Unsurprisingly, it's also got the same 4-inch retina (326 ppi) screen that the iPhone 5 does and a lightning adapter because duh. It's also got more LTE bands than any other smartphone out there, alongside dual-band Wi-Fi, Bluetooth 4.0, and all the normal stuff. Oh and there's a slightly bigger battery! Huzzah! The iPhone 5C's front-facing HD camera is actually an improvement on the iPhone 5's, however. It's designed to function better in low-light conditions. And the iPhone 5C's guts are good enough to handle all the new camera features of iOS 7. The 16GB iPhone 5C will cost $100 with a two year contract, the 32GB model is $200. Off contract prices are way rougher: $550 and $650 respectively. Ouch. You'll be able to pre-order one this Friday and get it Friday September 20th. This year, instead of just pushing each phone down one notch as in years past, Apple is instead replacing the iPhone 5 with the new 5C. This is your new mid-grade option, folks. The iPhone 4s is getting bumped down to free, like you'd expect, keeping smaller screens and 30-pin connectors around one generation more. Just instead of a cheaper iPhone 5, we've got the 5C. Hope you like your colors!